In WHM, ModSecurity Tools interface allows you to add and manage ModSecurity rules for your server. 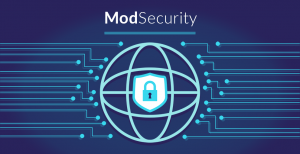 You need to first install ModSecurity Apache module in order to use this feature. Click “Add Rule“. A new interface will display. Enter the rule in the “Rule Text“ text box. To enable the rule when you deploy the configuration, select the “Enable Rule“ checkbox. To deploy the rule and restart Apache immediately, select the “Deploy and Restart Apache“ checkbox. Click “Edit ” for the rule that you wish to update. Make the desired changes in the “Rule Text” text box. Click “Copy“ for the rule that you wish to update. Make any desired changes in the “Rule Text“ text box. Click “Delete“ for the rule that you wish to delete. Click “Delete“ to confirm your action. To enable or disable a ModSecurity rule, click “Enable“ or “Disable“ in that rule’s row.